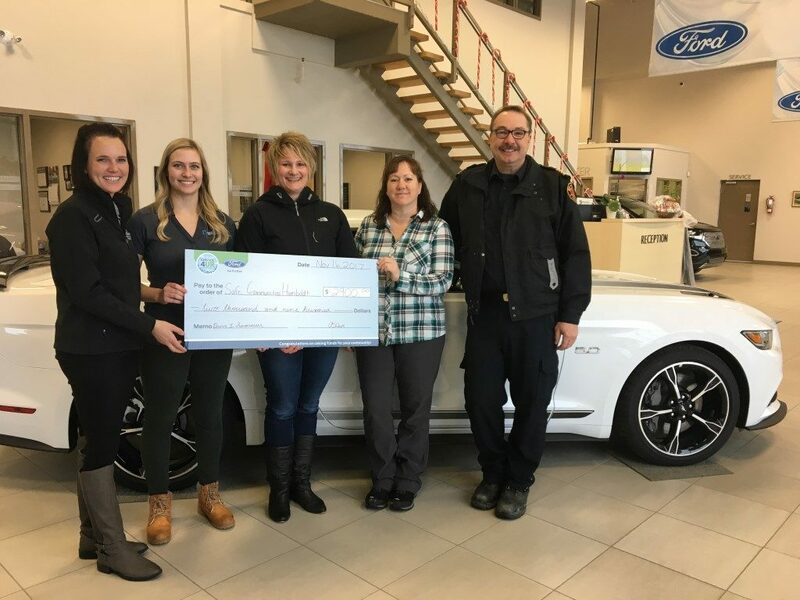 The Discovery Group of Companies (Discovery Ford, Discovery Motorsports, Discovery Edge Collision & Glass, and Discovery Towing) has been serving Humboldt and the surrounding community for over 20 years. 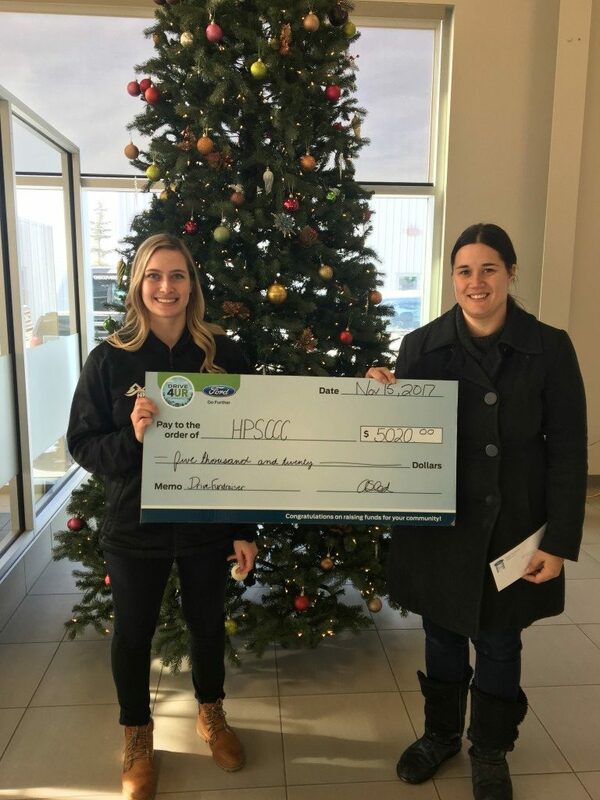 We appreciate the support we have received from our customers and look forward to finding opportunities to return that support back to the people who live and work in the Humboldt vicinity. Every week the Discovery Group of Companies receives many requests for donations and event sponsorships from worthy individuals and organizations. Before sending through your application, please read below to determine whether your request will fit within the sponsorship criteria. Will this event or project have a direct local impact? 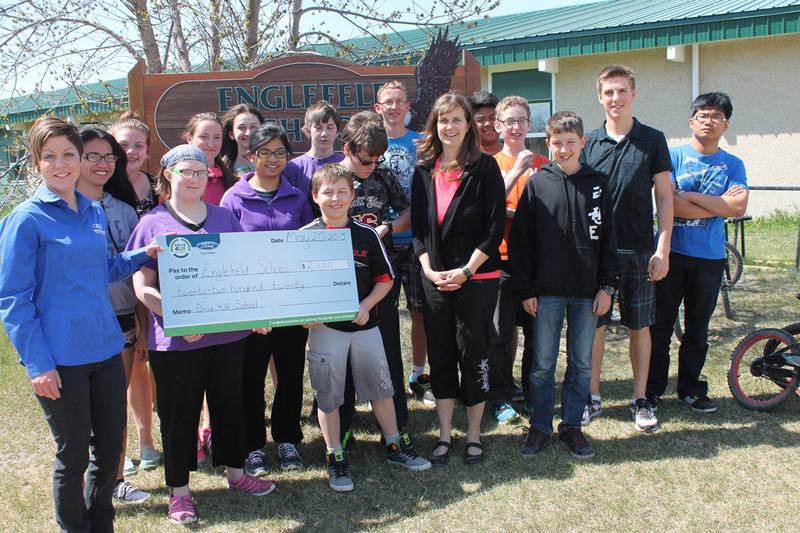 Will this sponsorship aid or support children or the disabled? Will this sponsorship provide an opportunity to connect with potential Discovery Group of Companies consumers? Will supporting this event or project increase consumers satisfaction and overall perception of Discovery Group of Companies? Will this event or project be an opportunity to demonstrate our brand and give us a competitive advantage? If you feel that your sponsorship request fits the criteria, please click here to complete and submit a request form. Please allow at least 8 to 10 business days for a response. Q. Is there a limit to the number of times I am allowed to apply for sponsorship from the Discovery Group of Companies? A. 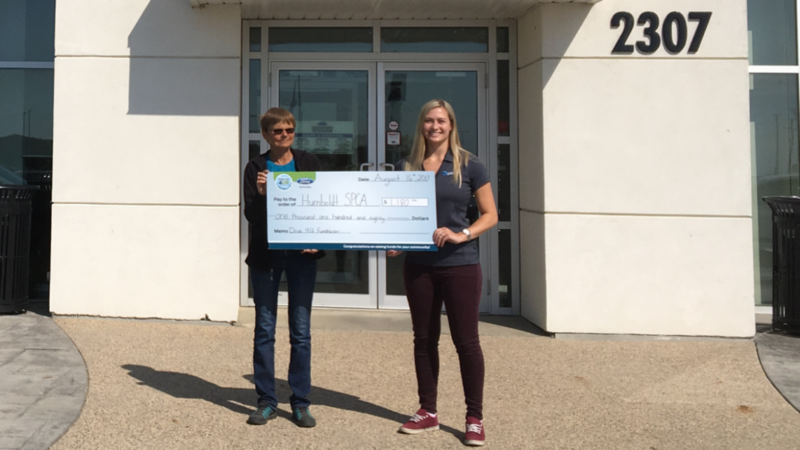 No, the Discovery Group of Companies would like to continue to support a large number of non-profit and charitable groups in Humboldt and the surrounding area. Q. Approximately how long will it take for me to complete the form? A. The form will take approximately 15-20 minutes to fill out. 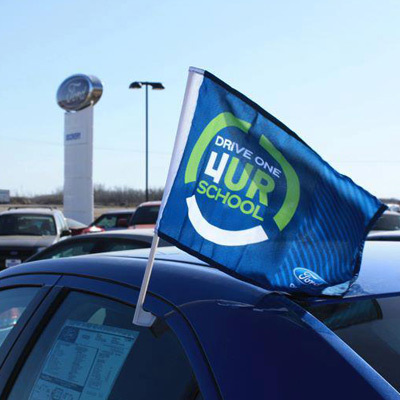 Since 2010, Discovery Ford has enthusiastically invited schools and community organizations to participate in Ford Canada’s Drive 4UR School/Community. 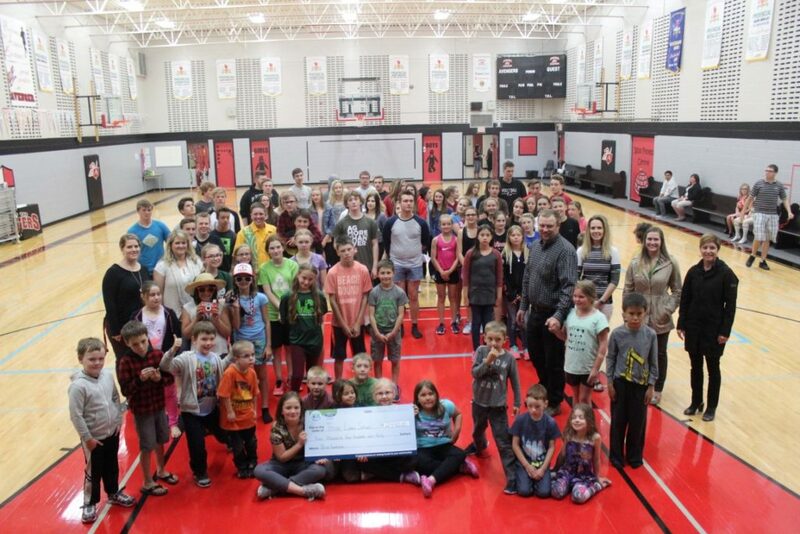 After 7 years and over $11 Million dollars donated, the Canadian Drive 4UR Community and Drive 4UR School programs have now concluded and will not be returning in 2018. 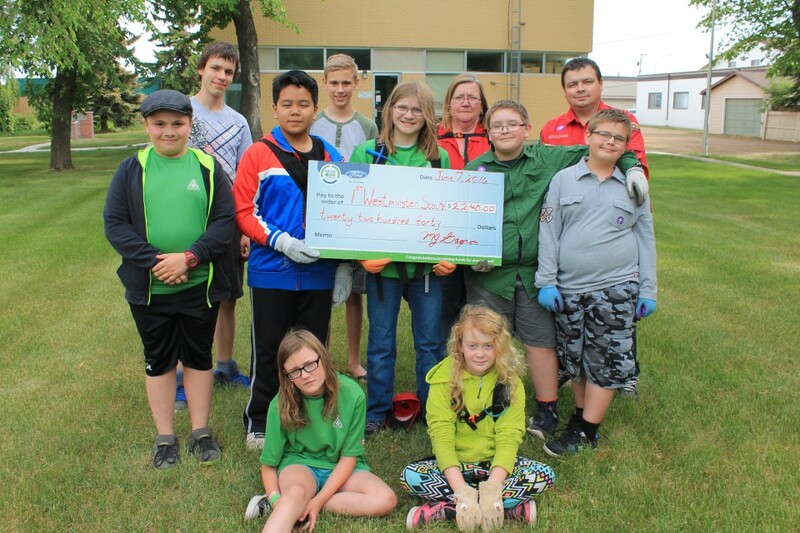 The Drive 4 UR School/Community program was developed as a fun, engaging way to help various local schools and charitable community organizations raise money. 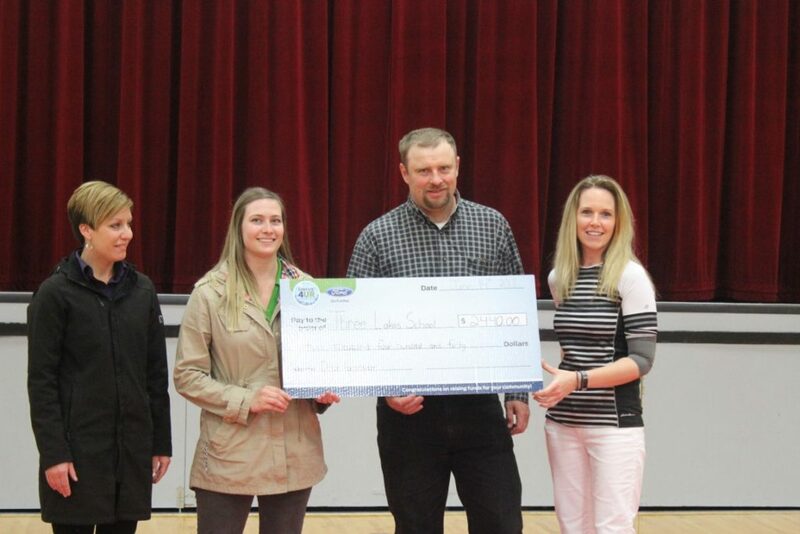 Discovery Ford Sales will partner with qualified schools and organizations within the Humboldt district to conduct a fundraising test drive event. 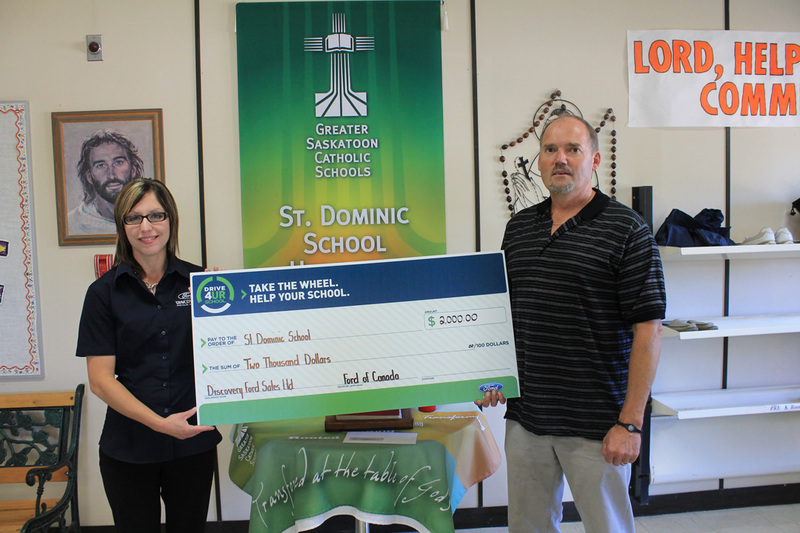 The program provides a $20 donation to the school or community charity for every household that completes a Ford test drive and submits a completed survey. A partner can raise up to $6,000 through this one day event.